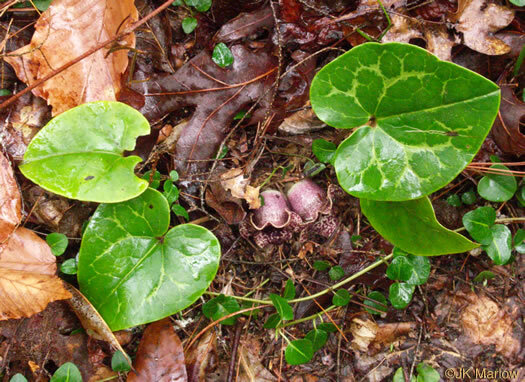 H. heterophylla is probably the most variable species in the genus, per A Review of the Taxonomy & Biogeography of Hexastylis, Aristolochiaceae. Castanea (L.L. Gaddy, 1987). 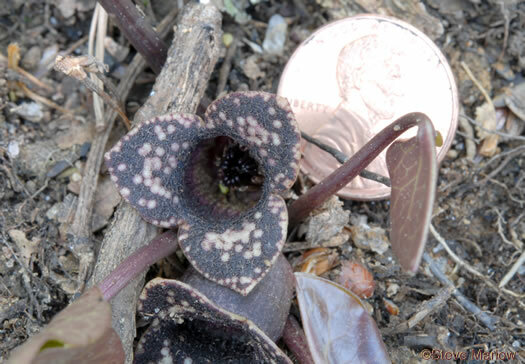 Southern populations have small unflared flowers, per A Review of the Taxonomy & Biogeography of Hexastylis, Aristolochiaceae. Castanea (L.L. Gaddy, 1987). 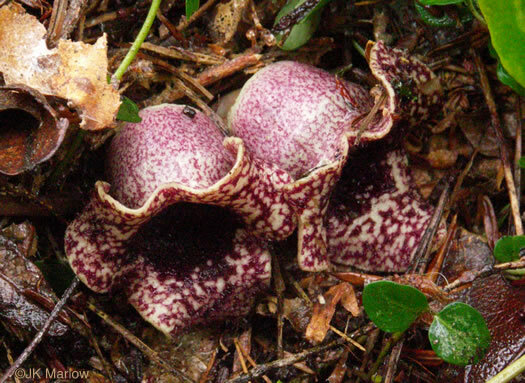 Northern populations have large prominently-flared flowers, per A Review of the Taxonomy & Biogeography of Hexastylis, Aristolochiaceae. 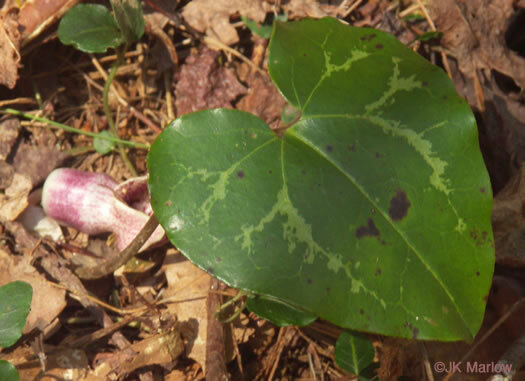 Castanea (L.L. Gaddy, 1987). 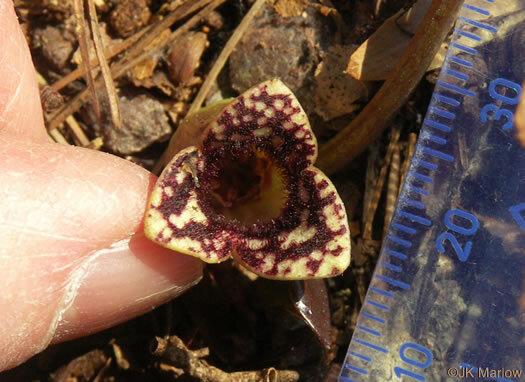 Occasionally populations with flowers the size of H. naniflora are found, per A Review of the Taxonomy & Biogeography of Hexastylis, Aristolochiaceae. 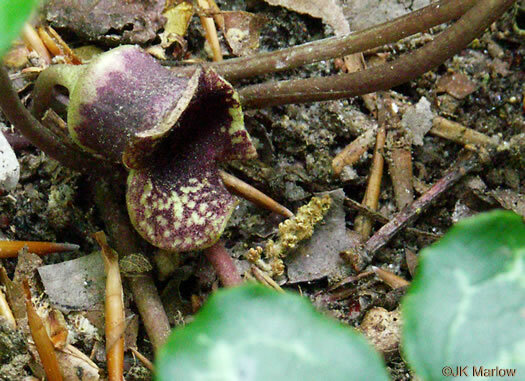 Castanea (L.L. Gaddy, 1987). 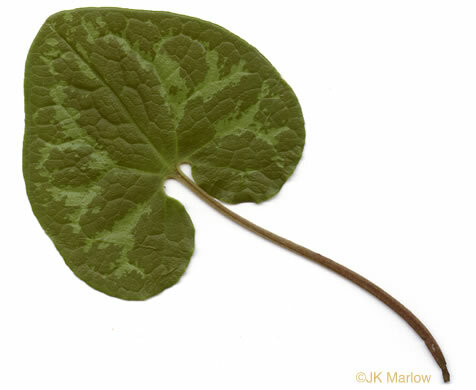 If leaves are mottled, the paler portions are along the veins, per Weakley's Flora. 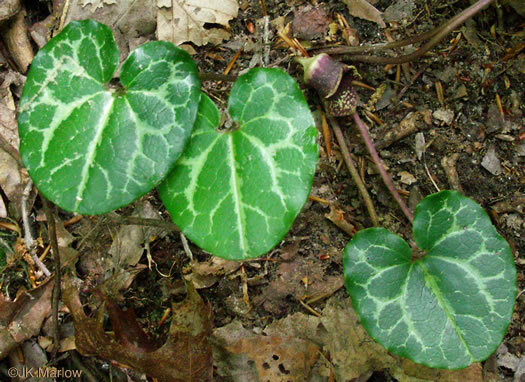 Leaves usually solid green (sometimes variegated), per Weakley's Flora. 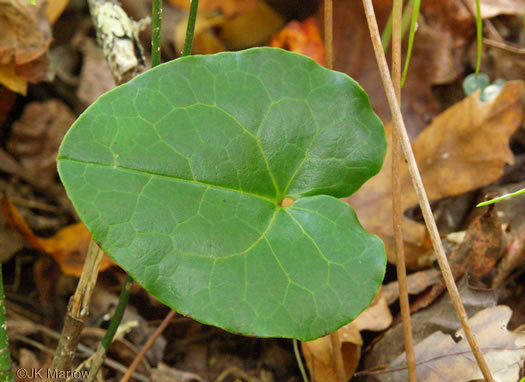 Leaves with cordate base, all portions of the sides convex, per Weakley's Flora.